In MBIZE UJEHOVA Dumi has done more than just singing. He pours his heart out and he sounds like heartfelt testimony, He has penned more songs on this album. 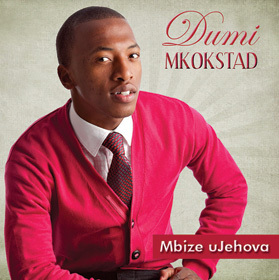 MBIZE UJEHOVA is the first album by DUMI MKOKSTAD to be distributed and part marketed by REVOLVER RECORDS.